Ever wondered how Android would run, on better hardware? For example, on your…….PC? Well XDA forum member apristel found some instructions on the net and managed to get Android up and running on his own PC! You may have problems getting the internet to function, but apristel has advised putting your mobile device in tethering mode and plugging it into your PC. The forum member has provided links to the required files – you can either burn the ISO image to CD and boot off that or use a tool called UNetBootin to make a USB flash drive bootable. There is no need to install this to your hard drive to get it running – so there is no effect on your current OS. To find the instructions and try it out take a look at the forum thread. 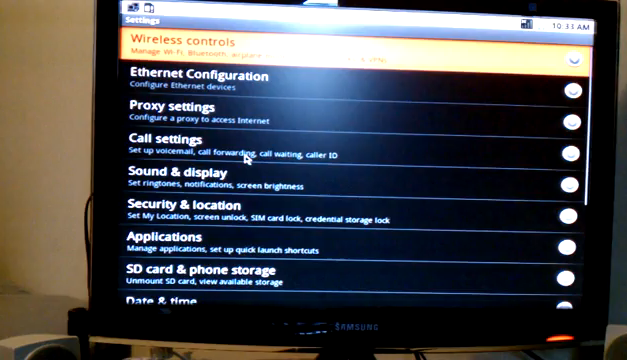 You can also check out a short video of Android running on apristel’s PC.